Students studying the emotional toll of environmental loss faced a wave of vitriol. Jennifer Atkinson is a contributor to Writers on the Range, the opinion service of High Country News. She is a senior lecturer at the University of Washington, Bothell, where she teaches courses on environmental humanities and American literature. She is also the author of Gardenland: Nature, Fantasy, and Everyday Practice. We live in an era of profound ecological disruption, with reports on climate change, habitat destruction, depleted oceans and mass extinction piling up by the day. Yet an important part of the climate story is commonly overlooked: the emotional toll of ongoing environmental loss. I’ve watched students at the University of Washington struggle with the depressing realities of our ecological crisis for nearly 10 years. That’s why I decided to offer a new seminar on “Environmental Grief and Climate Anxiety.” When registration opened, every seat filled. But after the local media began reporting on the class, a flood of derisive emails and phone calls poured into my office, and the newspaper comment sections filled up with responses mocking today’s “absurd” college courses and the students who attend them. 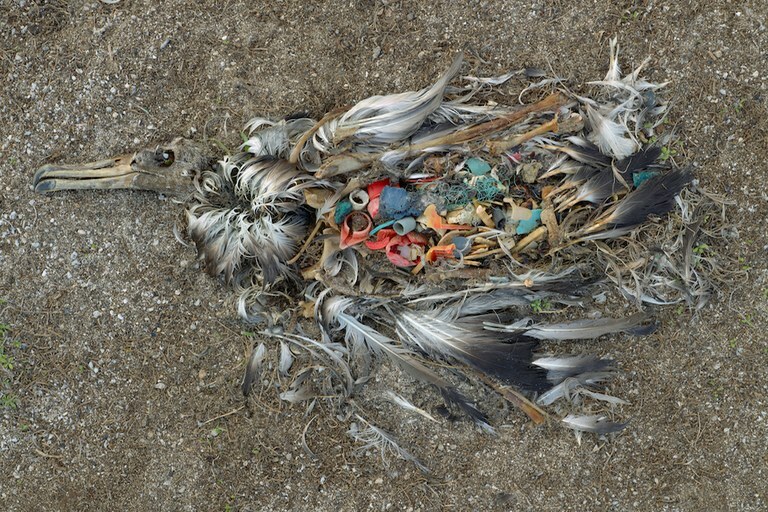 Photographer Chris Jordan dealt with feelings of depression and grief while documenting the lethal effects of plastic debris on Midway Atoll. The irony of such charges runs deep. Facing the hard truths of our climate crisis takes steady courage and a certain amount of grit. Today’s students are reaching maturity at a moment when the scale of environmental disruption boggles the mind: increasing wildfires, rising seas and collapsing glaciers, vanishing forests and displaced communities. And remember that much worse is on the way. Denial — carefully looking the other way — is a normal response to challenges this overwhelming. But unlike many of us, the young people I’ve met who are preparing for environmental careers are choosing not to look away. They know that the work ahead will require them to confront even more suffering and loss, and they are right to seek ways to channel their distress into action. Emerging efforts by colleges and community groups to provide tools for managing that distress can hardly be dismissed as the equivalent of a group hug. My class is more like boot camp, preparing students for the long, hard fight ahead. Granted, a college course on ecological grief is bound to strike some as odd. When we think about climate change, we usually picture its effects on the physical landscape. But research shows that climate disruption is also having a profound emotional impact. For some, the daily news alone is enough to cause sadness and anxiety. For more and more people, environmental ills are experienced as a part of daily life, whether they work outdoors in record heat, experience frequent droughts and floods, or spend summers choking on the wildfire smoke that increasingly blankets the Western states. To make things worse, the impacts of climate change are coming down hardest on the most vulnerable populations — people who may already suffer from inadequate access to affordable food, shelter, health care and safe drinking water. Indigenous communities with cultural roots in the natural world have a particularly high risk of experiencing trauma from environmental loss in their homelands. Some of my students come from these backgrounds. Many of us are familiar with the stages of mourning following the loss of human life — denial, guilt, anger, depression and, ultimately, acceptance — but we don’t really have a vocabulary for the loss of our natural world. Only recently have climate activists and mental health professionals started using terms like climate depression, eco-grief and pre-traumatic stress. This is the distress that can occur when your daily work is to talk about and plan for an increasingly ominous future. Left out of all the snide and hostile remarks directed at me and my students was the image featured in the Seattle Times story on this class. It showed a dead albatross, its open belly overflowing with plastic trash. The photo was from a series by photographer Chris Jordan, who spent years documenting the mass die-off of these magnificent birds. Some he held in his hands as they gasped their final breath after ingesting Pacific Ocean plastic. Jordan’s work exposing the consequences of our consumer culture required him to look suffering and death in the face. It’s not work for the faint of heart, and Jordan has spoken publicly about the emotional toll of his work. Direct engagement with today’s biggest challenges is, nevertheless, the path many of today’s students are choosing to follow. That doesn’t make them snowflakes. It makes them badasses.